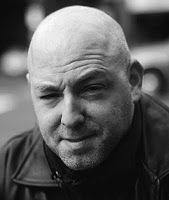 In an interview with Comic Book Resources this week, Brian Michael Bendis stated that he’s leaving the AVENGERS books after an eight year run. Some readers are happy at the news, others are upset. I want to take time to acknowledge what he did. When he took over the book, the team was not as it once was. He disassembled the team, brought in new members, and made them the dominant team once again. They haven't since the start of the Chris Claremont/John Byrne UNCANNY X-MEN days. And let's not forget the upcoming live action movie next May. That is due to the popularity of the book he took over. There were never more than three AVENGER ongoing series before he came on board (AVENGERS, WEST COAST AVENGERS and SOLO AVENGERS, later AVENGERS SPOTLIGHT). By comparison there are current nine X-team books and three JUSTICE LEAGUE books. Look, you may not like everything he did. I didn't like everything he did. Spider-Man and Wolverine on the team? A team before "the founders" that included Kraven and Sabertooth? Too event heavy (House of M, Secret Invasion, Dark Reign, Siege)? However, you can't argue with the results.This team matters again. It will be interesting to see what happens to Earth's Mightiest Heroes after he leaves.